Stottercliffe Garage based in South Yorkshire, has a wealth of experience in the fitting of custom car body kits, from a boot spoiler to a one off body kit. 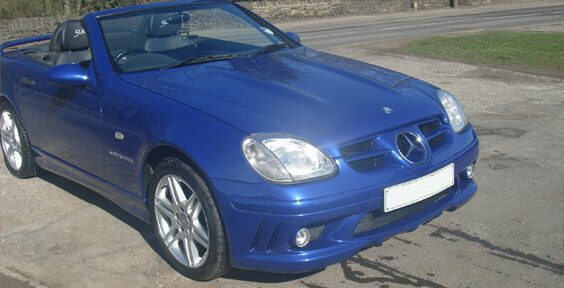 We can paint your car in just about any colour you could imagine from standard colours to pearls and metal flake. Included in custom car body styling is the fitting, smoothing & painting of aftermarket body kits, original bodywork smoothing (door handles, aerials, boot lids, bonnets, original swage lines etc), custom paint schemes (Pearlescent, Candy, Metallic plus more effects – please ask when acquiring quotation), restoration projects and anything else out of the ordinary. We can cater for any budget, all we ask is that you bring the vehicle to us when requiring a quotation as we will need to examine the bodywork of the vehicle to establish the preparation work involved to achieve the best results, if you are not able to bring the vehicle then please contact us for further information. We will take time to ensure that your project is discussed in depth ensuring you are happy with everything before work commences. © Stottercliffe Garage. Stottercliffe Rd, Penistone, Sheffield, South Yorkshire S36 6EB.